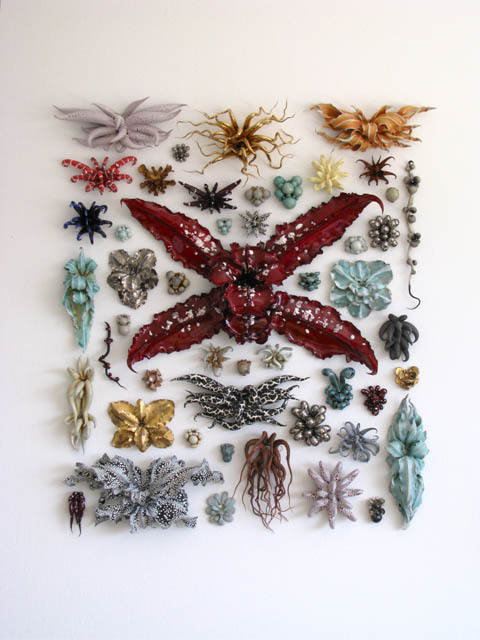 Five Questions for Elizabeth Kirrane, curator of “Flora and Fauna: MAD About Nature” on view at the Museum of Arts and Design. 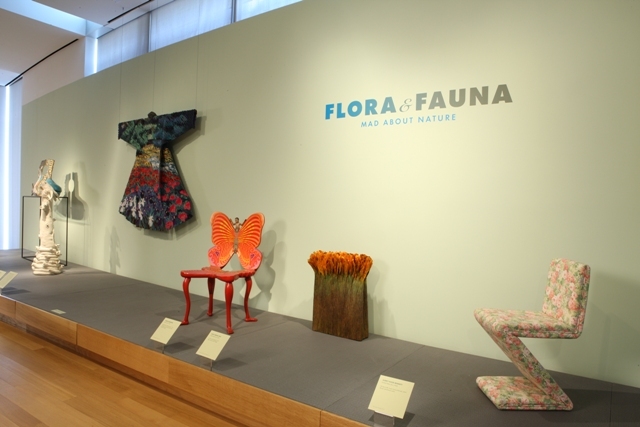 Beginning of the Flora and Fauna exhibition with a Pedro Friedeberg “Butterfly” chair and Tim Harding’s “Garden: Field of Flowers” kimono. I finally had the opportunity to see Flora and Fauna: MAD About Nature at the Museum of Arts and Design (on view through November 7th) and left the show mesmerized by everything that I saw. The work on display is beautiful, poetic and incredibly diverse. In my opinion the exhibition features several incredible pieces ( in particular Beth Katleman’s “Folly” and Jennifer Trasks’ “Intrinsecus”) which have made me appreciate contemporary design more than I ever had in the past. Both Katleman’s and Trask’s work is stunning, complex, and testament to the highest level of craftsmanship. Elizabeth Kirrane, the show’s curator tells us what a difficult process it was selecting objects for the exhibition. Five Questions for Elizabeth Kirrane, curator of Flora and Fauna: MAD About Nature. 1. Mother Nature has been inspiring artists for centuries and what is wonderful about your show is that you were able to show how artists working in all different media were able to express their fascination with nature in such different and fresh ways. 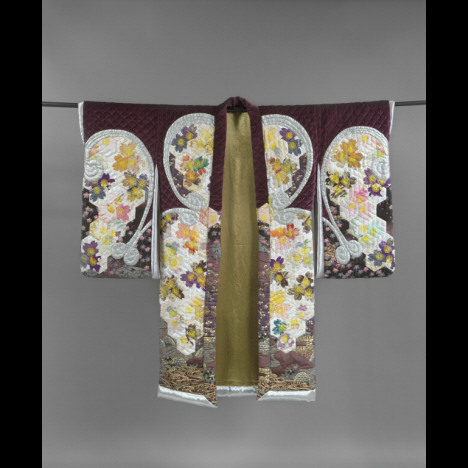 Looking at the 126 items on view, was there any one piece that you were really struck by? I could never narrow it down to one work! 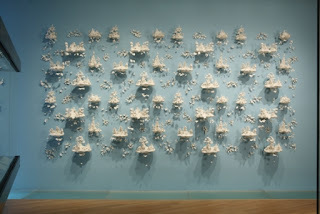 I love Beth Katleman’s “Folly,” it is such a show-stopper as you round the corner. I am also moved by Shen Shaomin’s “Experimental Field No. 3- Poppy Flower”; Jennifer Trask’s “Intrinsecus”; Christopher Wade Adams’ “Wall Construction”; and finally, Frank Fleming’s “Screamer Goat”. I am terrified of snakes and his piece is a favorite but at the same time the most difficult piece for me to look at in the show! 2. 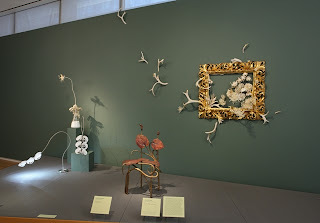 I was expecting Flora and Fauna to be a contemporary design show and therefore I was surprised to see that some of the objects were actually from the late 19th century (ie. Rockwood Pitcher). One thing that I noticed was that some of the contemporary pieces, like Beth Katleman’s “Folly” and Donna Sharett’s “There are times when I needed one good loving friend: the 35th Memento”, were inspired by 18thcentury art. Katleman’s references French 18th century toile de jouy while Shanett’s prefers 18thcentury momento mori jewelry. Why do you think so many contemporary designers today still look to the past for inspiration? I think it is easy to be inspired by 18thcentury art since it is all around us. Thankfully, through trusts and other organizations our past is still on view today and is teaching us about the way our ancestors lived, what they thought and believed in. I have also believed that to be a good artist, designer, decorator, etc. you need to know the past, your history. 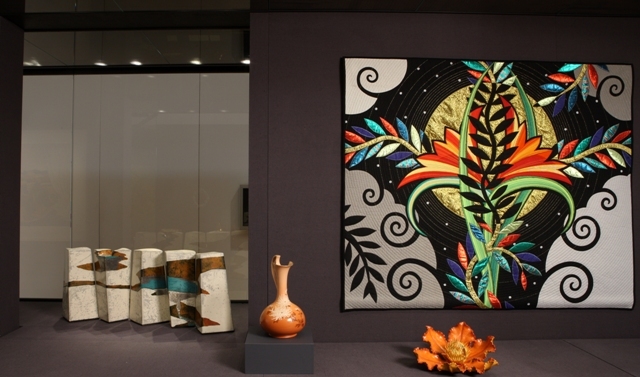 A good education in material culture relating to the past can do wonders for an artist’s inspiration. Beth Katleman, “Folly”, 2010, porcelain and wire. A second shot so that you can see how three-dimensional the piece is. 3. How did you go about selecting pieces to be featured in the show? I imagine it was a difficult selection process as I am sure every designer/artist has been inspired by nature at some point in their careers. Yes, it was a difficult selection process. 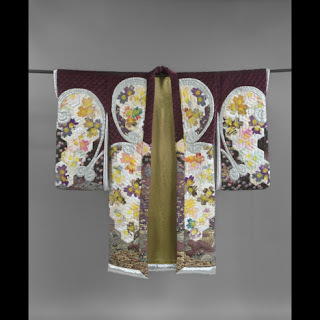 Since this exhibition was taken mainly from MAD’s collection, I looked through our database a few dozen times (we have over 2500 objects in our collection) and always stumbled on something new. Even today, I have come upon objects I wished I had included. Some of my choices were very literal- in that nature screamed from the work and others took a little research to see their inspiration. That was the part I loved! While I couldn’t research every artist in the show- I think we have nearly 125 artists represented- I learned so much. In addition to my research, this summer MAD’s high school summer internship program called Artslife, where each student selected an object from the show and researched the artist and object and then presented them as an audio guide you can access via your cell phone or Ipod. It was fantastic! An installation shot featuring a range of objects from the show, including the Rockwood pitcher at left. 4. There are many bold pieces in this exhibition, especially the ones that incorporate founds objects, like Jennifer Trask’s “Intrinsecus” and David Freda’s “Vegabond Butterfly Fish”, were you surprised by the materials that the artists used? Not at all! In 2010, I worked on a show called Dead or Alive (where Trask made “Intrinsecus” for the exhibition and later MAD purchased for the collection). In that exhibition, I saw a mixture of materials used by artists, including mouse skeletons, horse hair, bone, insects, kelp, eggshells, and bird feathers to name a few. It was a wild show! So, when I see the materials used by Trask or Freda or even Fran Reed’s “Pike Pod” I am excited to see how they are able to make an object so beautiful from something so ordinary or gross! 5. 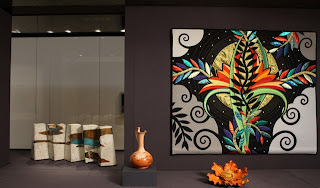 I noticed that some of the objects, although inspired by nature, were also inspired by the artist’s cultures, especially Pedro Friedeberg’s “Butterfly Chair” and Sanae Hattori’s “Romanesque Cherry Blossoms”, did you find that the Mexican and Japanese cultures, embrace these themes more than other cultures? I found this especially true in the Japanese and other Asian cultures. So much of their work incorporates the themes of their culture. Chinese artist, Shen Shaomin’s work looks at the poppy flower; Japanese artist, Hiroki Takada made lamps in the shape of orchid; and Japanese artist Kyohei Fujita works with plum blossoms. The show is on view through November 7th. Visit the museum’s website for more information.